Indonesian film board Badan Perfilman Indonesia, iflix and the Indonesian Creative Economy Agency (BEKRAF) have partnered to promote and showcase Indonesian artists in music and entertainment. This is through a series of five film projects, which will also premiere exclusively on iflix’s platform in 2019. The initiative will be jointly developed and produced by the three organisations as well as explore opportunities for further collaboration. BEKRAF will open nominations to young Indonesian film-makers to submit their proposal to develop each song into a movie, with iflix as the lead investor of these initiatives. The first project, targeted for production by year end, will be a family film based on the song “This is My Holiday” by Stephen Irianto Wally. The song was selected from the country wide competition, “Lomba Cipta Lagu Anak 2018”. Meanwhile, the four additional projects will be based on other selections from the competition. The program aims to support the local film-making industry, whereby young directors across Indonesia will be invited to submit their creative ideas in the production of four follow-up projects based on the runner-up song submissions from the same competition. 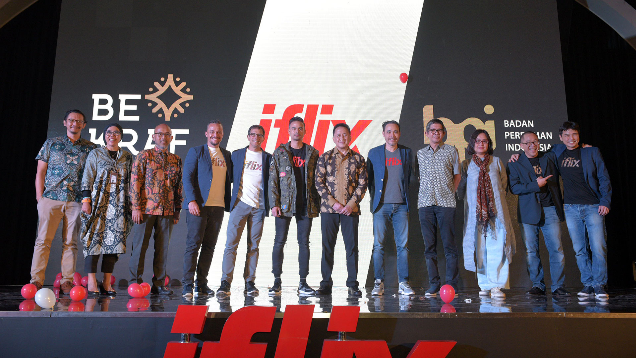 In a statement, the partnership is said to be a testament of iflix Indonesia’s commitment to innovation and proponent of creative economic growth in Indonesia, and looks to be in line with the spirit of the Indonesian government, especially BERKAF in strengthening the creative economy. It is also part of iflix’s commitment to Indonesia’s creative economy, which sees the company investing at least US$40million to US$50million in local content, particularly Original Productions. Traveloka's spokesperson told A+M that it will raise awareness about the new insurance plans via newsletters, blog articles, socia..
SPHMBO, the Out-of-Home (OOH) advertising arm of Singapore Press Holdings Limited (SPH), has re-launched its 313@somerset facade a..